The perfect sticker set for all cat lovers! 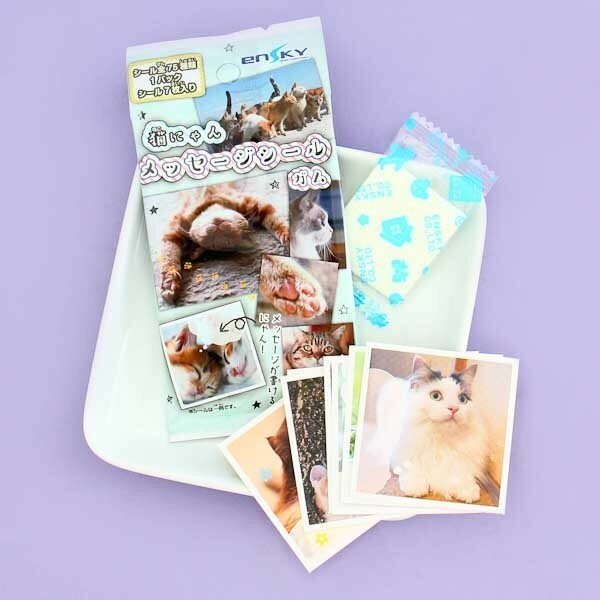 This super cute bubble gum set includes one big citrus-flavored gum and 7 super cute cat stickers portraying real cats with empty speech bubbles! You can add your own note in the speech bubble or just for fun by making the cats say the funniest things! There's a total of 75 different cat stickers so it's always super exciting to open the package and see which ones you get. Are you brave enough to try to collect them all? Bring more cats into your daily life and decorate your items with these cuties while chewing the delicious gum! Meow! There's a total of different 75 cat stickers - collect them all!